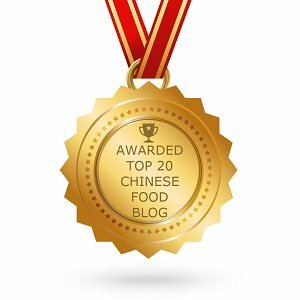 Apart from the soft types of tofu, in this post, I give some examples of plain tasted white tofu and the ones with the flavours. Most common one is this white square shaped tofu, which is also often seen at the Chinese food supermarket in the West country, sold within the plastic boxes. 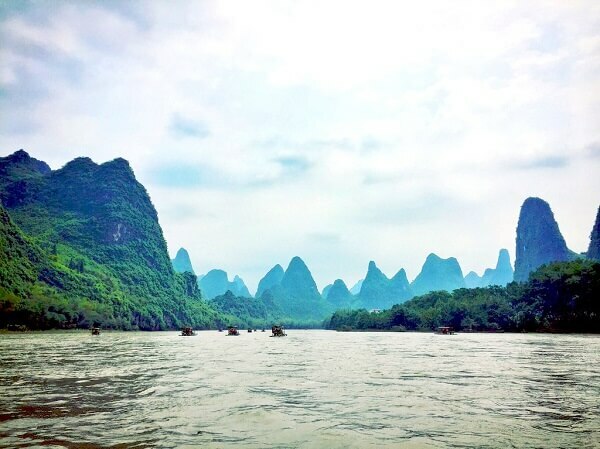 In China, the freshly made ones are most likely available from the local food markets, not the supermarket. 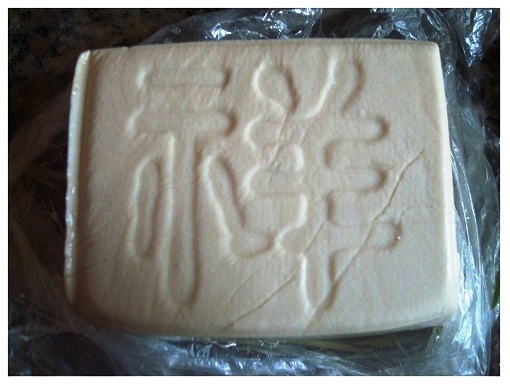 I am amazed that the locals even make effort to mark the Chinese word on the surface of tofu. The word in this picture means “Lucky”. 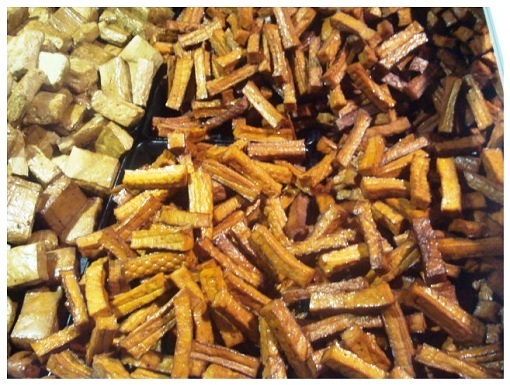 These types of tofu are usually used for main dish. Because it has no taste, the flavour would come from the cooking ingredients. 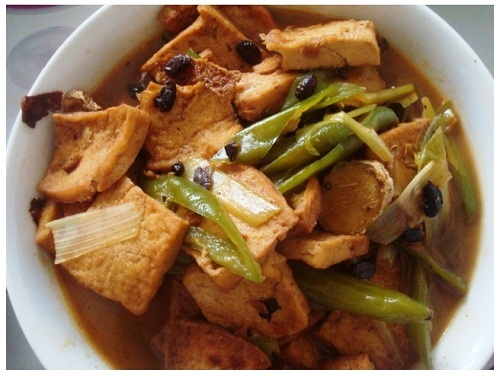 For example, this dish is made by white tofu with green chilli and black beans. If interested, you may also check my recipe: tofu with pork mince and bell peppers. This type tofu is softer than the white one and often used to make the soup. Because it is so soft, we don’t cut it on the chopping board, instead we cut it on our hand. @_@. 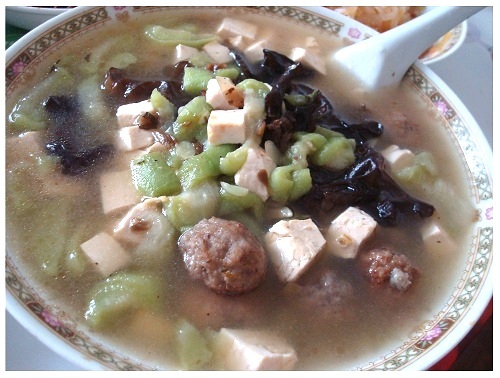 This is the soup made with tofu, pork meatballs and black wood ear and silk melon. Another popular type is called Xiang Gan (香干). It is white inside but brown outside. Most of them have no taste, but sometime it may come with five spiced flavour. It is also often used to make the dish such as fried with chive or green chillies. This is how it looks inside. This is the type with plenty flavour, popular one is the five spiced flavour. The variety of tofu I have seen in the food supermarket is unbelievable amazing. Some of them can be bit hard and come with a bite, especially if it is processed after smoking. Most of them are ready to eat, but they can be used for dishes too. Such as this cute side dish, seasoned tofu garnished with red chilli flakes and spring onions. 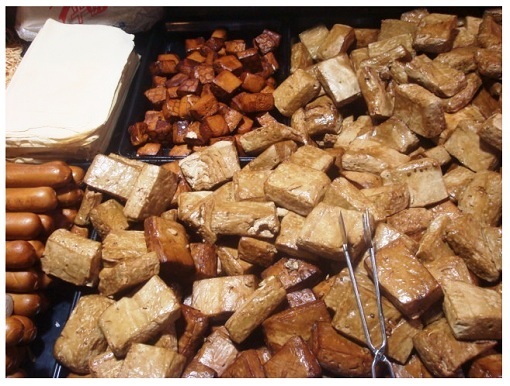 Tofu can also be used to make the Tofu Snacks packed in the small plastic bags, each with different flavours. That’s why I never need to have chocolate bar as snack when back to China as they are much tasty and healthier options. 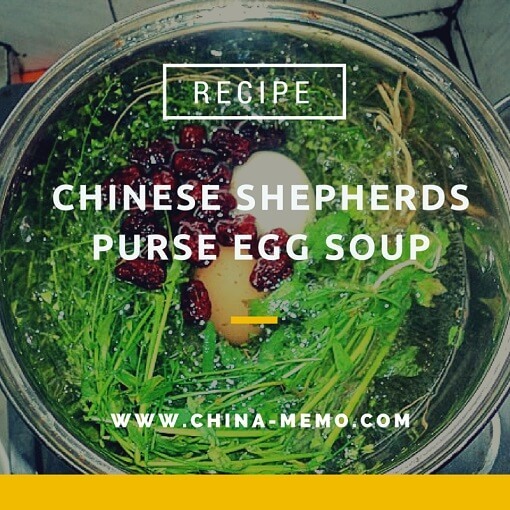 One reader has asked about how to make Xiang Gan. 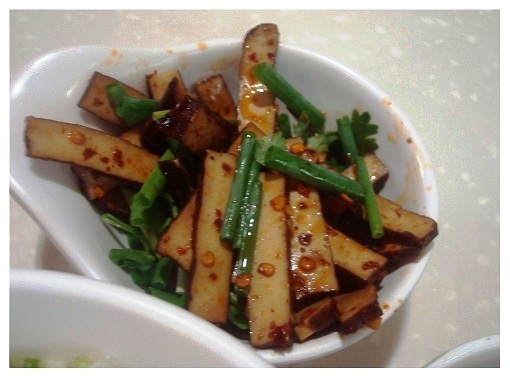 In fact, we don't make tofu or xiang gan at home, so I don't know how to make the original plaint tasted Xiang Gan. But there are many ways to make the plain tasted xiang gan with flavor. Here is an example to make five spiced Xiang Gan. 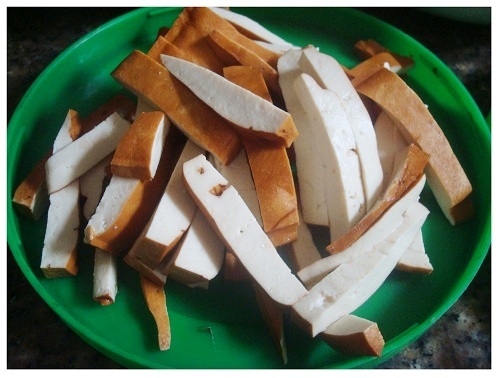 1. wash and clean the plain Xiang Gan, or firm tofu. Stack 2 or 3 pieces of tofu, use the string to tight them together. 2. prepare a cloth to make a sauce bag. Add five spice powder, star arsine, and Sichuan pepper corns on top of cloth. Seal the cloth to make a bag. 3. add water in a sauce pan, add light soy sauce, salt, ginger, and the sauce bag. Bring the water to a boil, medium heat, cook all ingredients for about half hour. 4. Add tofu, change to small heat till the sauce thickening and the flavors get into tofu. Well, that’s what I can think about so far. 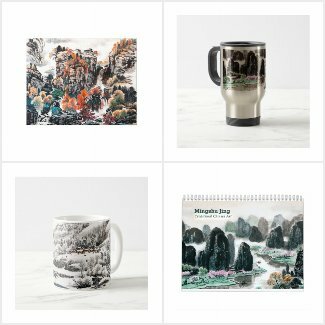 Hope you find this is useful, feel free to share this post with friends. 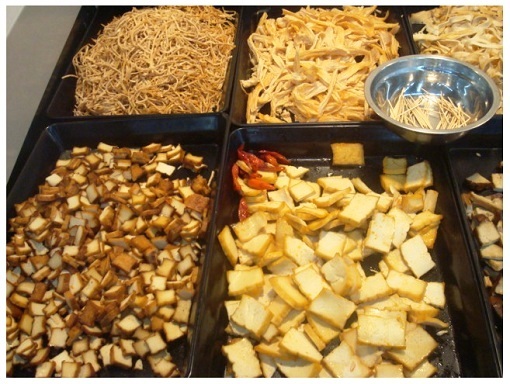 You may also like to see the types of tofu (1) and other Chinese daily food such as Chinese breakfast, Chinese Festival food.